Lyn Janssen holds a yard sign which protests the proposed fracking waste disposal pits near Nordheim. At a recent Monday night in Nordheim, a town of 300 about 75 miles southeast of San Antonio, neighbors are gathering at the old dance hall; the Nordheim Shooting Club. But this isn’t for a night of boot scootin’, they are here to organize against what they see as an environmental threat to their town and their way of life. Two massive fracking waste disposal pits, one 200 acre site and the other 575 acres, are being proposed for right outside of town. “They’re going to dump liquid oil field waste including all the chemicals that have to do with fracking, all the chemicals that have to do with just oil field drilling," said Jim Fulbright, a local rancher. "They have these byproducts of drilling that are not recyclable not reusable and they have to do something with it. And I’ve got no problem with them doing something with it but I just don’t want them doing it in my yard. And that’s basically what they are here." 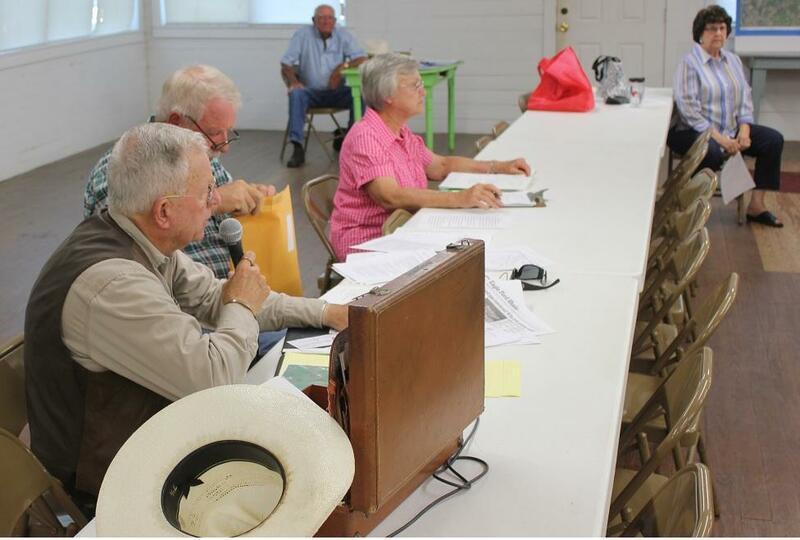 If approved by the Texas Rail Road Commission, the regulatory agency for all things oil and natural gas in Texas, the 200-acre plot would be a quarter mile from the town. The waste facility would have up to eight open pits – lined with plastic and 25 feet deep. The pits are open to the air and the fracking waste is allowed to evaporate and the toxic chemicals oxidized by the sunlight. What’s left behind is a thick viscous goop that’s mixed in with soil. “When they let these things mature, for lack of a better word, these fumes are going into the air. If you’ve ever been around one of these oil rigs or one of these waste dumps -- there ain’t no Chanel No. 5 there -- it all stinks,” said Fulbright. 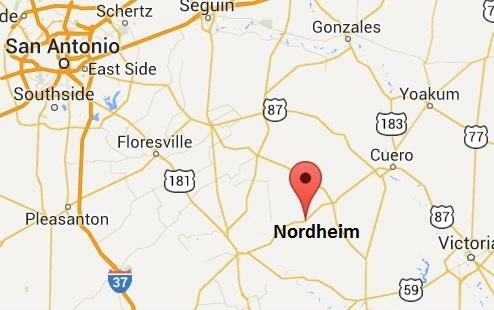 Nordheim is in DeWitt County, close to Karnes and Gonzalez Counties, the most productive area in the Eagle Ford Shale play. Drive along the highway and you’ll spot multiple oil drill rigs along with pump jacks with giant flares burning off unwanted natural gas and waste water injection wells, where the produced water from fracking is pushed deep underground. But you’ll also see the benefits of the Eagle Ford boom: new construction, commerce, and evidence that mineral rights owners are getting checks and investing that new wealth back into their land- clearing brush, putting up new fences and fancy ranch gates. “I’m not against fracking," Fulbright said. "I’m not against the oil and gas industry; it’s necessary. The country needs the energy. The state is deriving a lot of revenue out of this. And the local people are getting some revenue, granted, but we don’t want this thing where they are proposing to located it." But the location makes sense from perspective of the business that’s building the facility, San Antonio-based Petro Waste Environmental. 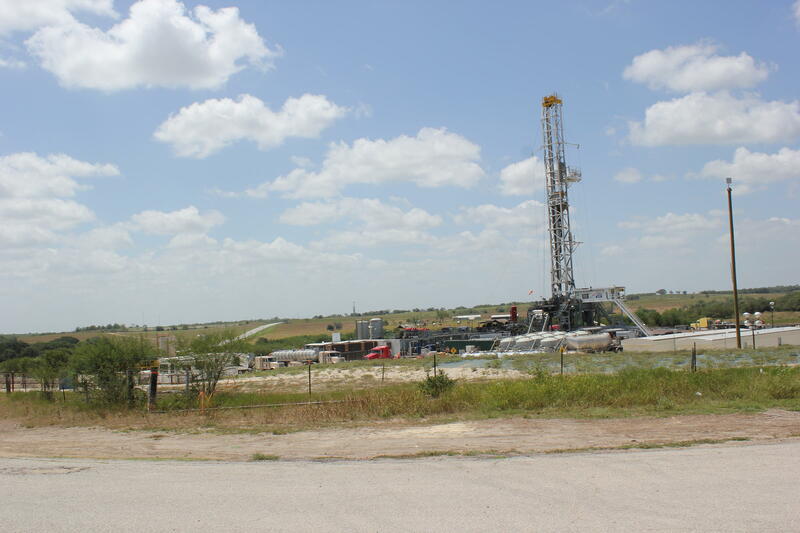 The site has close proximity to the major activity in the Eagle Ford Shale and good highway access. Nordheim sits on State Hwy. 72, one of the major east-west thoroughfares of the Eagle Ford. However the people like Lyn Janssen, who live in and around Nordeim don’t think just because of their location they should become collateral damage for the Eagle Ford Boom. In Janssen’s garage she has set up multiple posters on easels with satellite photographs of the area where the waste pit will be built and images of other waste pits. She also helped organize Nordheim into the group Concerned About Pollution or CAP. Janssen is a retired school teacher but late in life she’s found a new calling – a reluctant environmental activist. “Never in my wildest dreams did I think I’d have anything like this because people go away to make money and then some of them come back here because of the quiet – the peace – the rest that you can have here – only in small towns across Texas is that possible,” Janssen said. Concerned About Pollution has been busy protesting the waste sites. They have hired a lawyer and an expert in petrochemicals to help represent their side to the Railroad Commission. 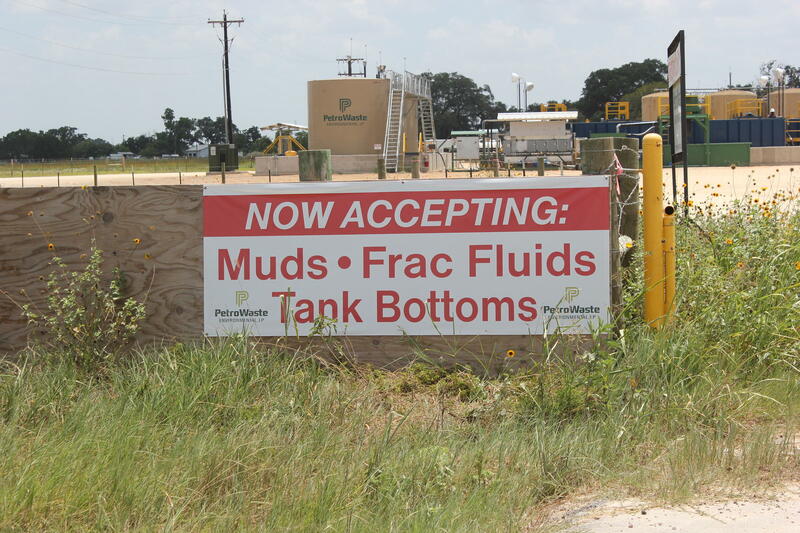 A biblical verse augments a yard sign opposing the fracking waste pits proposed near Nordheim. But she admits it’s a David versus Goliath challenge. She’s heard the stories of how the Railroad Commission is beholden to the oil industry for campaign contributions and is known to cave to industry pressure. "Those stories are quite prevalent it’s an entrenched idea – but on the other hand if we still believe in Democracy and people doing the right thing that you have to hope and pray that they will in this case do the right thing,” she said. 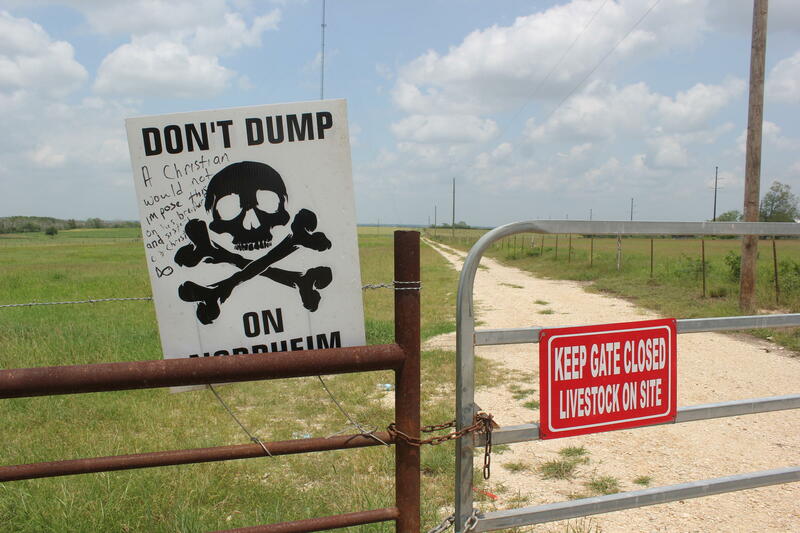 Wednesday morning the residents of Nordheim will attend a hearing at the Railroad Commission in Austin looking to convince the state to deny the permits for the fracking waste disposal pits. A seismologist for the Texas Railroad Commission updated the Texas House Energy Resources Committee about the findings of a study on the number of earthquakes occurring near fracking injection well sites. A new study by UTSA’s Institute for Economic Development shows a rapidly-rising economy is in store for the West Texas oil and gas play. The largest oil production in Texas has always been in the Permian Basin, but with new hydraulic fracking technologies, more of the shale plays around the state are starting to get a piece of the pie. As activity and income from the Eagle Ford Shale continues to grow, affected communities are studying how to manage finite resources into the future. Local and state leaders are planning for issues that could not be fully addressed during the boom that hit the area six years ago. South Texas counties successfully weathered transformational changes with the Eagle Ford. It’s no secret that incomes have skyrocketed. More than 600 South Texas business and community leaders are meeting in San Antonio this week for the third annual Eagle Ford Shale Consortium Conference. The communities over the Eagle Ford Shale have come a long way since the first wells were drilled in 2008 and the first few years saw growth so rapid that residents could barely keep up.